With its seven minutes of terror and a spectacular rocket-assisted landing behind it, the SUV-sized Mars rover Curiosity now finds itself just where scientists wanted it: at the northern edge and rim of Gale Crater. What’s remarkable is how familiar the landscape looks. “You would really be forgiven for thinking that NASA was trying to pull a fast one on you, and we actually put a rover out in the Mojave Desert and took a picture,” said project scientist John Grotzinger during a press conference. Visitors to Badwater Basin area in California’s Death Valley National Park might see similarities in the images Curiosity has been sending home. 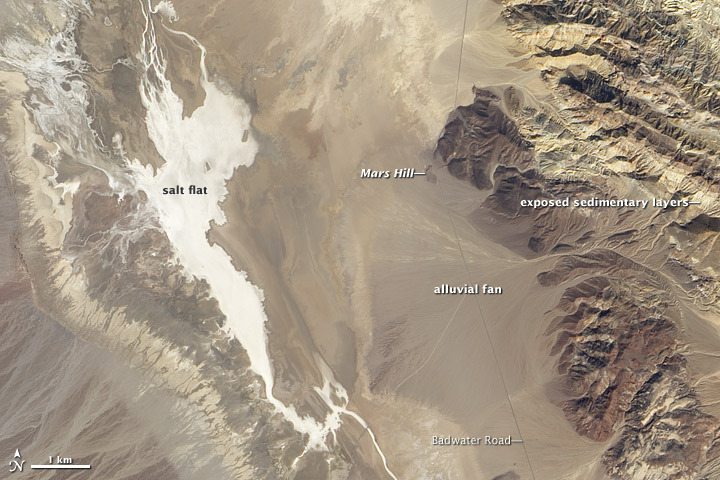 The Badwater Basin is dense with alluvial fans like the one in Gale Crater. 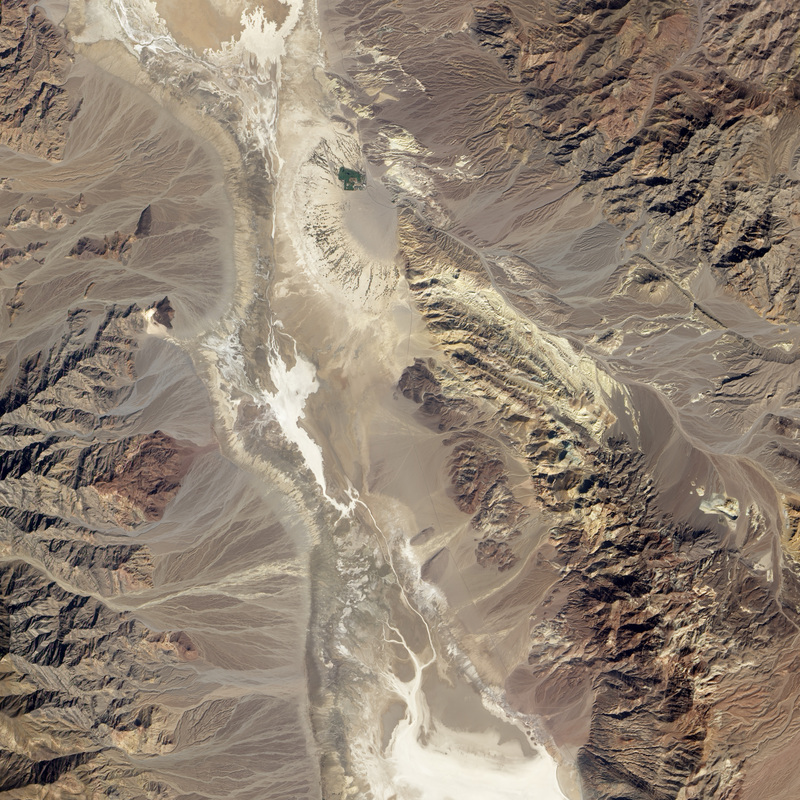 The alluvial fans in Death Valley are produced by occasional, intense storms that send storm water rushing down canyons in the otherwise arid slopes of the Panamint and Amargosa mountain ranges. 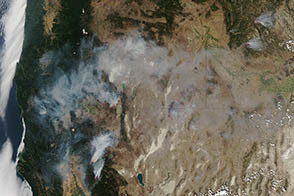 In the image above, captured in 2002 by the Advanced Land Imager on NASA’s Earth Observing-1 (EO-1) satellite, numerous alluvial fans are visible. Water has transported tan sediment from the mountains (far right), depositing it in the series of fan-shaped patterns near the center of the image. This part of Death Valley shares other characteristics with Martian landscapes, and the area has long been a favorite for scientists planning for Mars landing sites. Wind, volcanism, and alternating wet and dry conditions have left similar marks on the rocks of both Mars and the Mojave Desert. The dark patch north of the largest alluvial fan has even been called Mars Hill for decades due to similarities to the rocks observed at the Viking 1 landing site from the 1970s. Mars Hill is the toe of an old alluvial fan, comprised of basaltic cobbles and gravels that stick out of the overlying, younger sediments. The salt pan on the left is another feature that makes this part of Death Valley interesting to Mars researchers. Badwater Basin and Gale Crater are both enclosed basins with no outflows, so the water flowing into them would form temporary lakes and eventually salt flats after the water evaporates. NASA Jet Propulsion Laboratory. Mars Science Laboratory Image Gallery. Accessed August 15, 2012. NASA Jet Propulsion Laboratory. Mars Science Laboratory Curiosity Rover Mission Page. Accessed August 15, 2012. Baldridge, Alice. (2004, December 28). Mars Remote-Sensing Analog Studies in the Badwater Basin, Death Valley. Journal of Geophysical Research Planets. 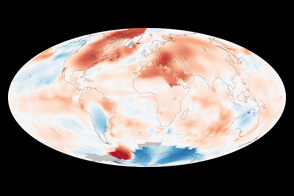 NASA Earth Observatory image by Jesse Allen and Robert Simmon, using EO-1 ALI data provided courtesy of the NASA EO-1 team. Caption by Adam Voiland, with information from Joy Crisp, Tom Farr, and Aaron Zent. The new robotic Mars rover landed at the foot of a fan-shaped sediment deposit reminiscent of formations in Death Valley. Anderson, R. (2010). Geomorphology of the Proposed MSL Field Site in Gale Crater (Powerpoint). Accessed August 15, 2012. Anderson, R. (2010, September 14). Geologic Mapping and Characterization of Gale Crater and Implications for Its Potential as a Mars Science Laboratory Site. Mars. Los Angeles Times. (2012, August 8). Curiouser and Curiouser: Earth-like Terrain in Mars Rover Images. Accessed Aug. 15, 2012. Nature News Blog. (2012, August 7). After the Fall, Curiosity Plans its First Move. Accessed Aug. 15, 2012. Scientific American. (2012, August 6) Ready to Rove: Curiosity Project Scientist Lays Out Mars Tour Plans. Accessed Aug. 15, 2012.